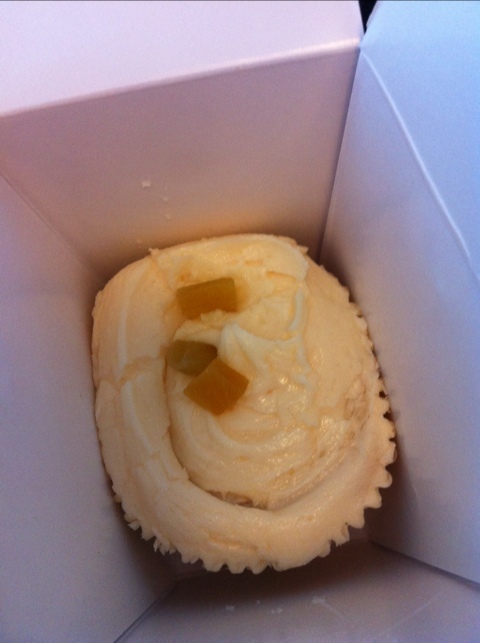 I have finally purchased the cupcake everyone’s been going on about. After my major shopping spree I was in the soho area and was heading to Seoul bakery I thought I’ll drop by to hummingbird on wardour street. The shop window looks pretty with bright colours and cupcakes on display, seating area is limited to dine in. I knew I wanted one to takeaway. I think I only saw 10 or so flavours on offer, but I thought I go for flavour of the day. Mango it was, I didn’t see what the SA packed for me as there was 3 other people in front fussing over their choice. 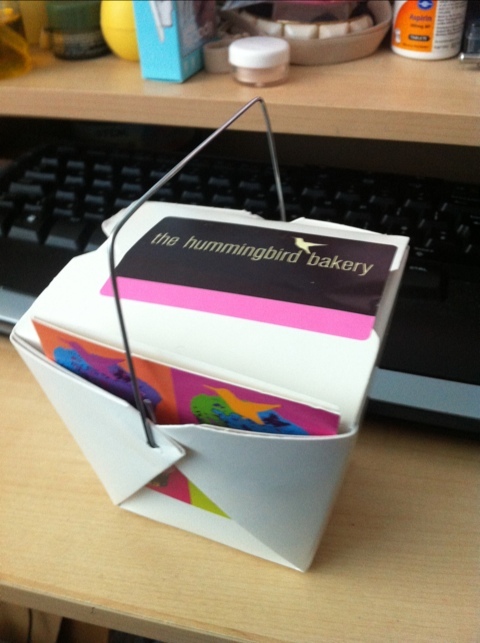 I was handed over a cute take away box with the hummingbird sticker and metal handle. After many hours back at home I opened up my treat, the buttercream looked like it was slopped on messy and there was dried mangos and icing around the outer corner. On my first bite, I felt like I was just eating 20 spoons of sugar it was so sweet. The buttercream was ok, but didn’t go with the dried mangos. 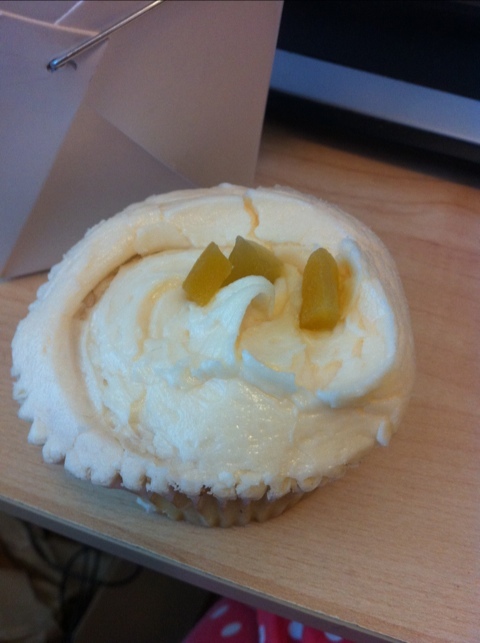 The cupcake base was the best part with a surprise of mango inside. The cake was moist, airy and smelt great. I’m most likely will try the chocolate one next.